We are here to assist you in finding your perfect Infiniti vehicle in our friendly, no pressure luxury dealership environment. That’s what we’re all about. Established in 1990, Markham Infiniti has grown to become a premier Infiniti auto dealer in GTA region. 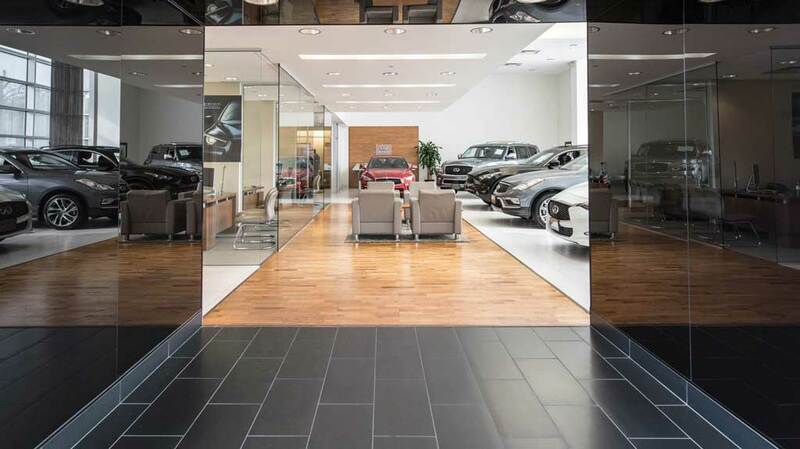 From the moment you walk into our showroom, our staff will welcome you and make sure your visit exceeds expectations of the premium Infiniti experience. 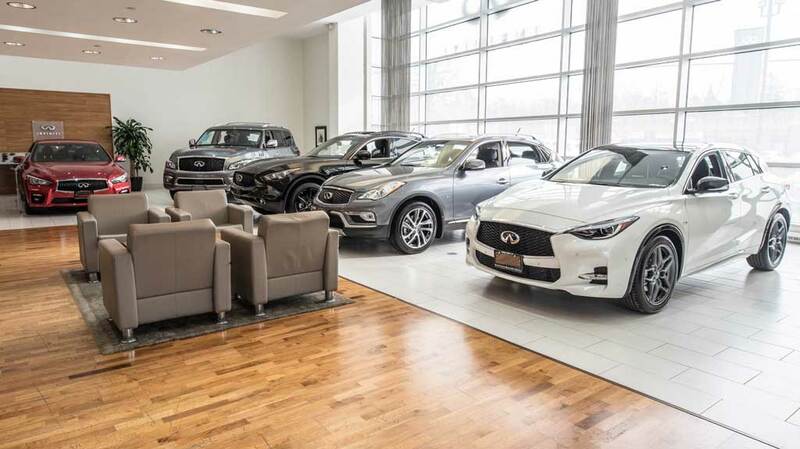 Markham Infiniti is located near the heart of Unionville and has two large, spacious indoor showrooms where you can view all of the new Infiniti models. We also have a separate showroom for our premium used car inventory; all in climate controlled comfort. At our dealership, you’ll find the entire lineup of new Infiniti’s in-stock, including Infiniti’s top-selling sedan and coupe models Q50, Q50 Hybrid, Q60, Q70, and Q70L as well as our SUV/CUV models QX30, QX50, QX60, QX 60 Hybrid, QX70, and QX80. If you’d rather buy a used vehicle, then have a look at our impressive inventory of used and certified pre-owned vehicles. In our continual dedication to exceed our customers’ expectations, we have grown from that first sale to now selling hundreds of Infiniti’s per year in the Greater Toronto Area. We don’t just provide luxury vehicles; we service them too. Our Infiniti Service Center is one of the largest in Canada and we operate a large fleet of Infiniti courtesy vehicles to assist clients when their vehicles are in for service. Our goal when you bring your vehicle in for service is to extend that amazing Infiniti feeling beyond your initial purchase to when you bring your vehicle into our service department. Operating one of the cleanest dealership automotive shops we take pride in the work we do on all of our vehicles and we’re not afraid to show it. Our courteous service staff will ensure your continued driving enjoyment by offering you professional service and a friendly face. Our friendly and professional service helps us earn customers for life. We hope you will offer us the opportunity to see how the Markham Infiniti experience is different. Markham Infiniti is a proud member of the Drive Autogroup family of dealerships. Drive Autogroup is a leader in automotive and automotive related products and services. Our mission is to continually improve our products and services while maintaining a high level of excellence. That means meeting the needs of our customers, providing the company with a satisfactory return on invested capital, and exceed the levels of expectations set by the manufacturers we represent.